As part of the honor of being a Grand Master myself I get to participate in events that support a healthy lifestyle. Health Kick raised money for charity by having our US Eagles demonstration team have an event as well as a small tournament to raise awareness and money for a good cause. 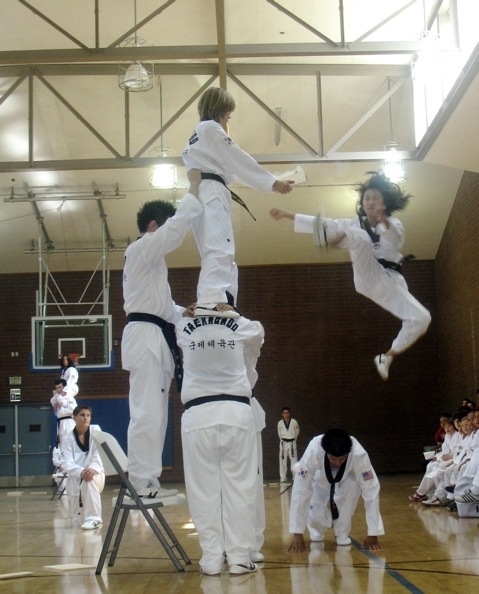 Grand Master In Kon Park is a 9th dan Kukkiwon Black Belt and one of the founders of the Kukkiwon. His Dan number is 303, he is a founder of the Kukkiwon from 1973. Now the dan numbers are in the 60 million! Such a great honor to be a part of the Tae Kwon Do family with one of the founders of Modern Tae Kwon Do.